Frozen vegetables are a consistent element in my meal planning each week. You will notice over and over again that my meal plans consist of the main meat, a steamed veggie or fruit, salad and dinner rolls. We also use rice and pasta as one of our meal items as well depending on what we’re cooking. Having this consistent method helps me get dinner on the table. This is how I cook frozen veggies to make them amazing. 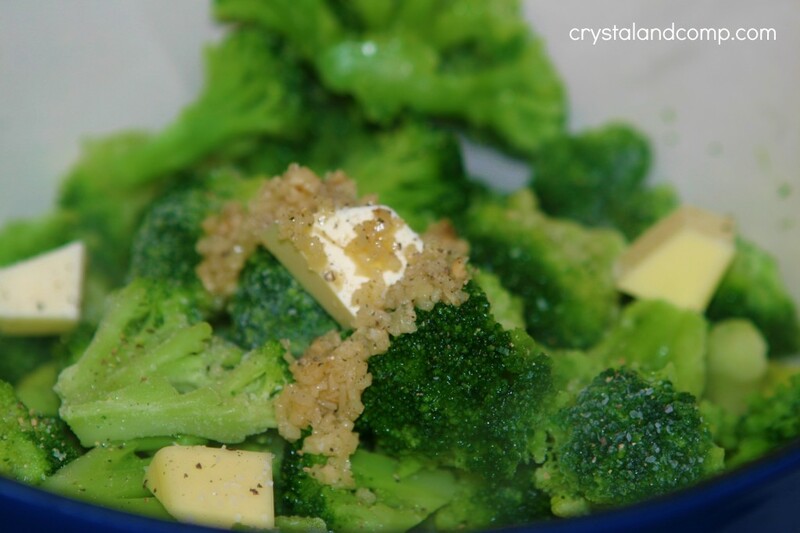 Toss your frozen veggies into a large cooking pot or dutch oven. Toss on the pats of butter, garlic, salt and pepper. Cook on medium-high for about 20 minutes on your stovetop. Just let the water steam them up. You can add a lid to speed up the process if you like. Generally my veggie is cooking while my rolls are heating up in the oven and my main dish has moved to “warm” in the crockpot. I stir the veggie about half way through cooking. Plate it up and devour. 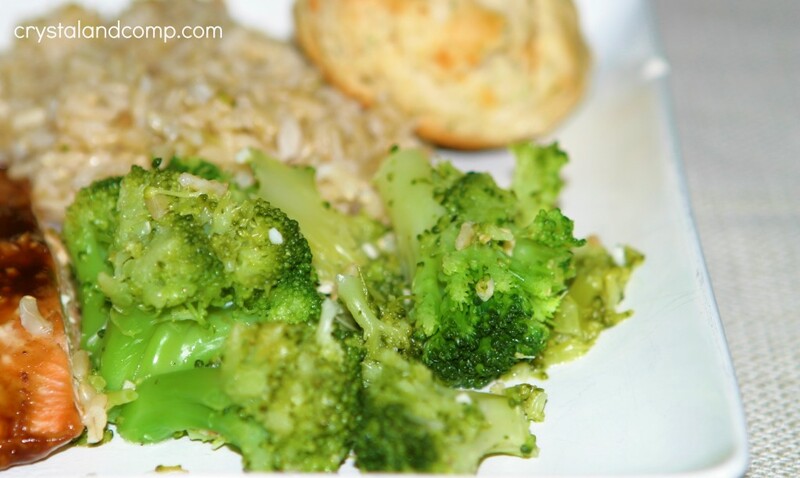 This works perfectly for broccoli, green beans, peas, mixes veggies, you name it! 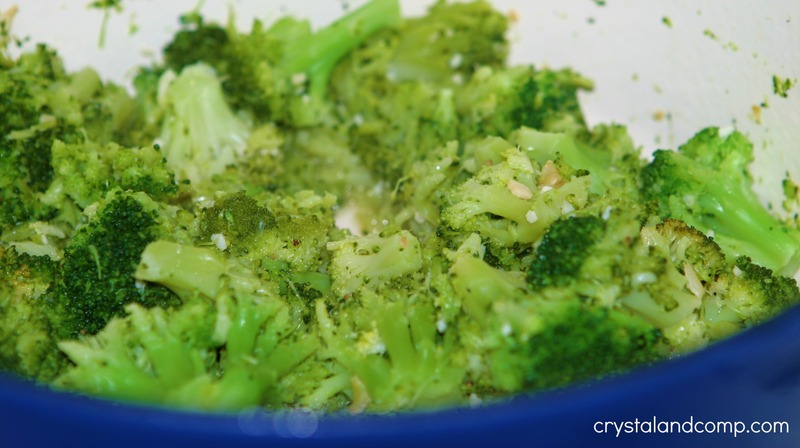 Once you make your frozen veggies this way, you’ll never eat them any other way! Do you struggle with getting dinner on the table? I can teach you how to meal plan in five simple steps! Nice! We have been using frozen veggies more and more lately but I do find them rather rubbery. What a great idea! I’ve always just heated them in a pan with water. 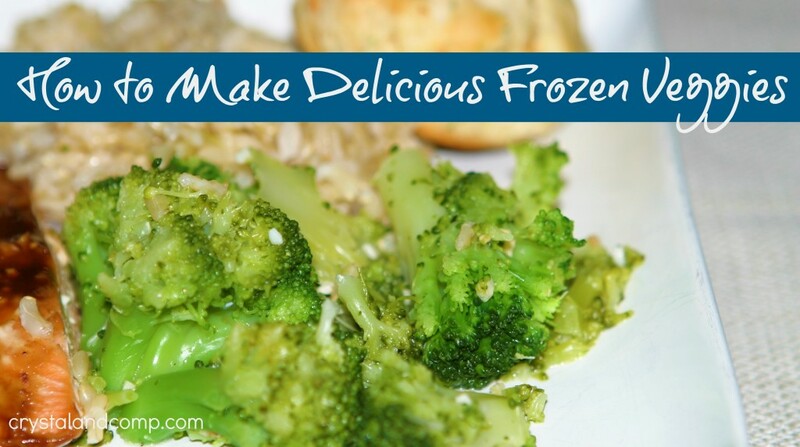 I will definitely be giving this a try the next time I do frozen veggies. Once you try this, you’ll never make your frozen veggies any other way. So simple and very delicious! Thank you for linking up in our Crafty Showcase last week. We love your recipes! What a great recipe! Have a great week and thank you so much for sharing with Full Plate Thursday. Kayla- how exciting. Thanks for your feedback and I am so happy it was something that will make it into your regular rotation. Hi Tiffany- this is cooked on your stovetop.